Car accidents are one of the most common causes of injury in in Belleville, Fergus, Gloucester & London and can result in injuries that range from whiplash and psychological trauma to fractures and brain injuries. Whiplash-type injuries sometimes can take several days to surface and even though accident victims may feel fine during the days immediately following the crash, it is common to wake up with aches and pains several days later. Car accident victims will often require rehabilitation programs which are lengthy and potentially costly. With the combination of injuries, lost wages and other obligations that cannot be fulfilled by the victim, the situation can quickly become emotionally and financially draining. Car accident victims have certain entitlements when it comes to the availability of benefits in Ontario. Medical rehabilitation, lost wages and attendant care are potentially available to injury victims as well as non-earner benefits. Additional coverage can offer benefits that are not included in regular policies such as housekeeping. Catastrophic injuries caused by a car accident dramatically increase the limits of the benefits available. Car accident victims who are not at fault are eligible to file a Tort claim. This is the victim’s entitlement to sue the at fault party for damages which include pain and suffering, loss of enjoyment of life, lost wages and medical care as well as any other damages applicable to the individual case. Ontario law governing car accident claims is always changing which makes having an experienced legal team in your corner more important than ever. If you became the victim of a car accident in Ontario, you may be entitled to receive substantial compensation for your injuries. If the other party was uninsured, or you were involved in an accident involving a stolen vehicle you still have options. If you or a loved one became the victims of a car accident, contact the legal team at EBPC Injury law. 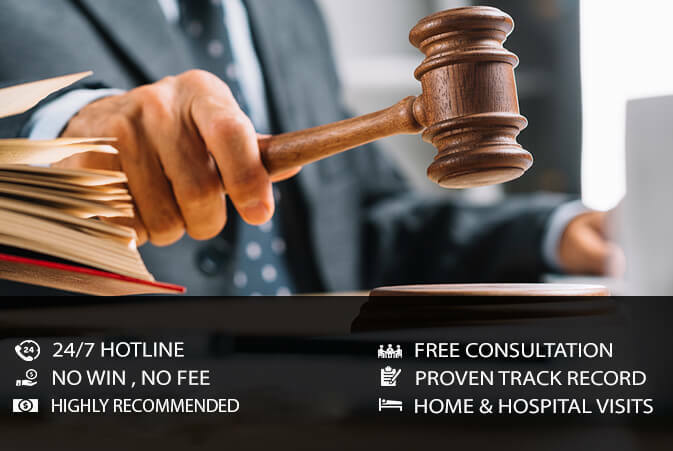 We will provide you with a free consultation and advise you of your rights and options. We will ensure that you receive the compensation you are rightfully entitled to by law. Your rights are our passion; call us today to experience the EBPC Injury law difference. You don’t pay unless we win your case.